Half Dipped Apricots. Chocolate Store, the online candy store with chocolate and candy. 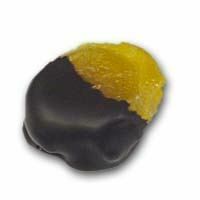 The finest rich succulent imported Australian glacé apricots extra large half dipped in milk or dark chocolate. A box of these beauties can be a truly decadent treat.